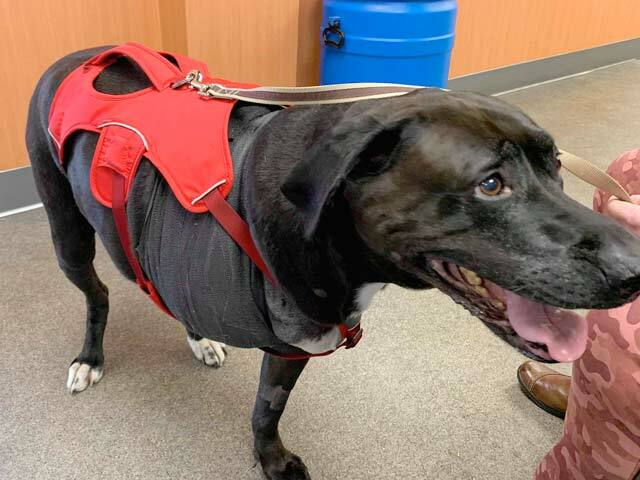 The fifth Ruffwear Web Master harness donated by the Tripawds Gear Fund went to Mary (aka: bettyh64) for her three legged dog Diesel. 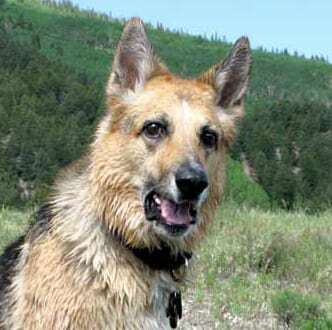 Learn more to see if you qualify for a free harness, or Support the Tripawds Foundation to help more Tripawds and their people! Hello this is Diesel, he came to us as a puppy from a local rescue in Florida, he is 10, soon to be 11 years old on 12/28/18. Diesel started limping one day so we immediately took him to vet when we noticed a lump on his lower area right leg…unfortunately he was diagnosed with bone cancer and needed amputation. this needless to say broke my heart and who was there to comfort me yes Diesel! Well, his surgery was on 12/04/18 and he is being a real trooper! On his first day home he slept almost all day. On his second day home we had to rush him back to the hospital due to excessive bleeding, he was examined and they redid the dressing explaining that it was the drainage tube causing all the blood. Went today to have drainage tube taken out and dressing redone and vet said he is looking good and can come back in a week or so and remove staples! He is gradually getting up and walking around and making trips to go potty, isn’t doing a lot of strenuous activity yet but actually has surprised me and his Dr. 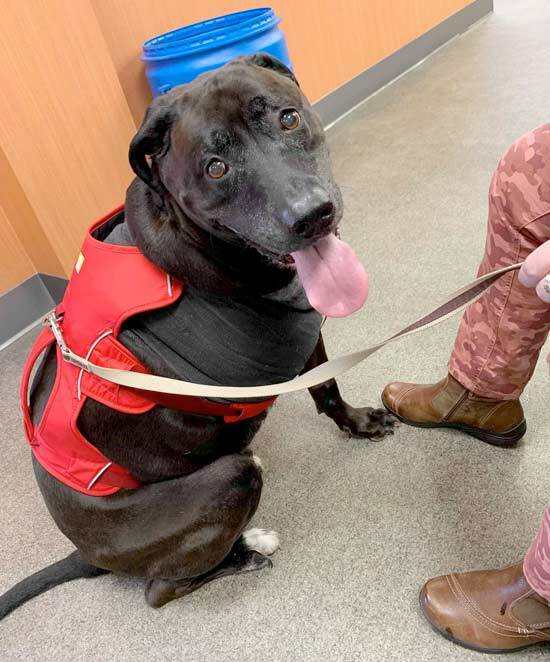 I want to take the time to Thank Tripawds for the free harness that was granted to him. It is being such a big help with his learning to ambulate on three legs! Thank you Tripawds so much! 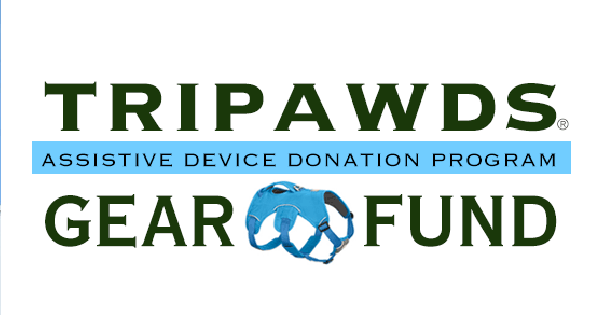 Support Tripawds to Keep This Program Going!